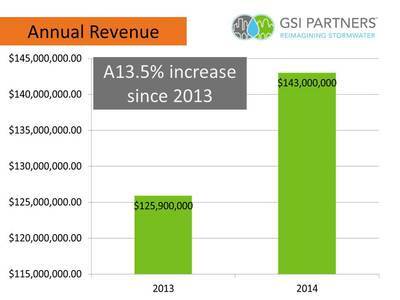 The businesses and organizations in our network brought in well over $143 million in revenue in 2014, a 13.5 percent increase since 2013. Our members employ 791 people full-time and 152 part-time and/or seasonally. Five of our members’ businesses were formed in the past two years, and the existing businesses grew at a median rate of 20 percent. This data was taken from the GSI Partners’ Annual Profile survey, which 42 of our businesses completed. In addition to the numbers, we received many narrative responses demonstrating the impact of GSI investments in the Philadelphia area. As this initiative moves forward, we plan to annually survey our members in this way to guage trends in the industry. Thank you all for your participation in this first round!